This week the iGina team excitedly welcomes Stephanie Ernst on board as a multi-talented Marketing Assistant here at iGina HQ. Stephanie joins the rapidly expanding, international iGina team and earlier this week, we sat down over a cup of coffee to find out more. Hi, I’m Stephanie Ernst, I come all the way from Queensland, Australia, and I’m a former banker/insurance guru. I actually studied teaching whilst at university in Brisbane, Australia but after completion, I ended up moving into banking and finance. The fast-paced world of banking developed my skills for time management, there were always a deadlines looming, and there were always clients expectations to carefully manage. I later worked as an underwriter, and this was all about knowing the limitations of the rules, but also adjusting the rules to suit your situation. Building the perfect coverage for each client was difficult, but it was about understanding the customer’s needs and building their confidence in the product. I learnt so much over the years but one thing that I proudly took with me from my years in the finance industry is how to build trust and rapport with clients. Some years later I met a Dutchman, and the rest is history as they say– I moved to the all the way to the Netherlands to start a new adventure, and so far that’s been an understatement, I had identical twins and built a whole new life here. I am a strong advocate for awareness about TTTS and TAPS – two diseases affecting identical twins. I became aware of these when my twin girls were diagnosed with them, I now do a lot of writing and public speaking on the topics to raise awareness. Being a mother has taught me to always expect the unexpected, embrace chaos and mayhem, there’s no such thing as a problem – it’s about thinking differently and adapting to the situation and finding the best possible solution. Noone expects twins, so I’m always prepared for the unexpected! Luckily for the iGina team, lots of tasty home cooking treats for the iGina office, alongside lots of fun, optimism and a whole lot of determination! 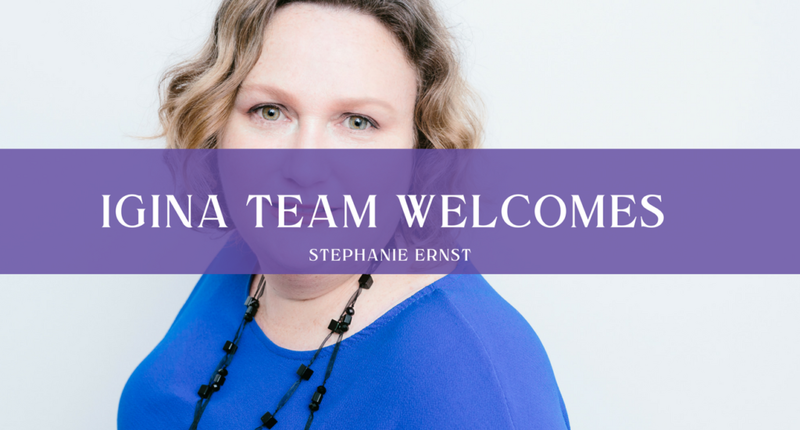 So, join us in giving Stephanie a really warm welcome, we look forward to her energy and cooking skills!